The Social Security Disability Insurance (SSDI) application process – from the time you file until you get a final decision – can be a long time. It is quite common for these cases to take more than year. It is also very difficult for an un-presented claimant to get a favorable outcome because the system is set up in such a way that the average claimant is very much at a disadvantage even though their respective medical doctors may have no question claimant is disabled. The first question you may be asking is why is it so hard to get approved for SSDI benefit? The answer to this question basically comes down to the fact that the U.S. Social Security Administration (SSA) simply doesn’t have enough money in its budget to pay all benefits for all of the people that are truly disabled in this country. As of now, there are around 11 million Americans who depend on SSDI or Supplemental Security Income (SSI) to make ends meet. This number is actually expected to increase, but some in congress feel that it is not the job of government to help disabled people who are unable to work and refuse to allocate the correct amount of money to properly fund this program. As our Boston SSDI benefits lawyers can explain, and have explained on our Disability Advocacy 101 page, the program is similar to a private long term disability insurance plan. The reason we say this is because whenever you pay taxes, some of the money is taken out of your check and paid into a Social Security fund. This money is then split into two separate funds. Some of the money goes to the Old Age and Retirement fund with which most people are familiar and some of the money goes to the Social Security Disability Insurance fund. These funds are separate and cannot borrow money from each other without special authorization from congress. However, it should be noted that the Social Security retirement fund is much larger because the program is much larger. One year’s budget for the retirement program could run the disability budget for many years. When it seemed that the budget for the disability programs would run out by 2016, congress finally agreed to allocate one year of retirement funding to the disability program and that delayed any issues for several years. It is a sad fact that the clear majority of SSDI benefits applications will be denied after they are filed at the Boston SSA office. 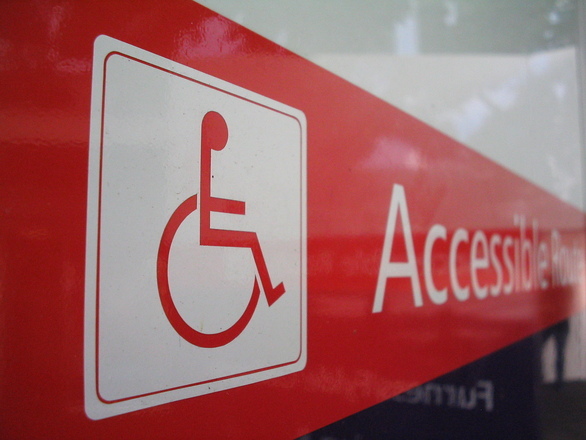 This has nothing to do with whether or not the claimant is truly disabled. The reason these applications get denied is because it is basically the agency policy to deny these applications by finding there is not a disability. This may be a way to save money by paying out less in benefits, or it may just be an arbitrary and capricious thing the agency does. This initial denial is made by a claims reviewer, and not an administrative law judge (ALJ). At this point, you will get a one to two-page letter that explains why you were denied for benefits and found not to be disabled. It will likely say that after reviewing you file, SSA determined you were able to work and are not disabled. You can then file a request for reconsideration. This can be done on paper, but is much easier to fill out the form on line. It will ask you a few questions and for your claim number or Social Security number. It will then ask if you have any additional medical information since you first filed your initial application. This request for reconsideration will almost certainly be denied as well. The reason for this is because this request for reconsideration, which is technically your first appeal, is done at the peer review level. This means that a co-worker of the claims reviewer that denied you initial application is supposed to review the claim and see if he or she agrees with the assessment. As you can imagine, there is not much chance of the co-worker will overruling another co-worker’s denial. Once you have been denied on your initial application, you can then file a request for a hearing before an ALJ. This must be done in person at the SSA Office of Disability Adjudication and Review (ADR) as they do not currently offer these applications for appeals online. After waiting as long as year, will be grated a hearing before an ALJ. The hearing before the ALJ will be a full evidentiary hearing. This hearing will certainly go better if you have attorney representing you during the process. The good news is that the system is set up in such a way that you do not have pay any money for your attorney represent you unless you are successful in obtaining benefits. This is similar to how a personal injury case works with a contingency fee, except here the attorney compensation system was established by Congress. At this hearing, there will likely be a person who is known as a vocational expert. The vocational expert or “VE” as they are often called will use a book that contains archaic job titles that are supposed to exist in the local or national economies. This means that if the ALJ agrees with the VE, your application for benefits will be denied once again. The book that VE uses was created in 1970s and was last updated in 1991. It is known as the Dictionary of Occupational Titles (DOT). Once your application has been denied by an ALJ, you can file an appeal with the appeals commission at the SSA. This is a discretionary review and they therefore have the right to refuse to hear your appeal. If this happens, you have right to appeal to the U.S. District Court for the District of Massachusetts, which is located near the harbor. If you are not successful in this appeal, your next and final step would be to appeal to the U.S Court of Appeal for the First Circuit. This level of appeal would be exceedingly difficult without the help of an experienced Boston disability appeals attorney. One thing to keep in mind is that if you have an attorney representing you as early in the process as possible, there is a much better chance that you will not need to go through all of these appeals. The reason for this is because your attorney can make sure you have the right records from your doctors and all the required materials before you first file. It is often much easier to get things right in the beginning than going back and trying to correct mistakes after the occur. This is not to say that you should not bother to contact an attorney if you have already filed, because unless you have exhausted all appeals, it is worth having someone who will fight for your right to a full and appropriate award of disability benefits.